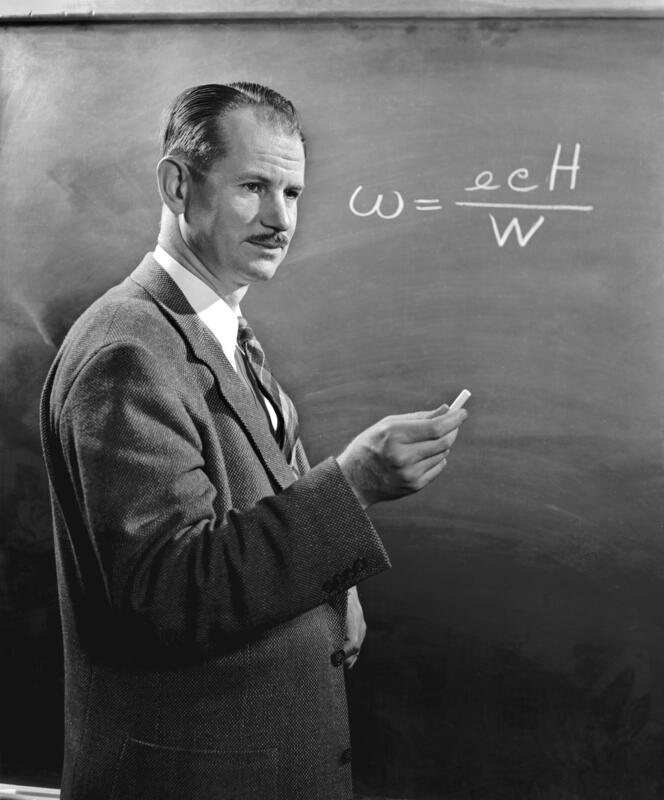 Edwin McMillan (1907-1991) was an American physicist and winner of the 1951 Nobel Prize in Chemistry. In 1940 McMillan and Phillip Abelson produced a new element, element 93, when they bombarded uranium-235 with neutrons. This was the first time a transuranium element had ever been artificially created. McMillan dubbed the new element "neptunium." 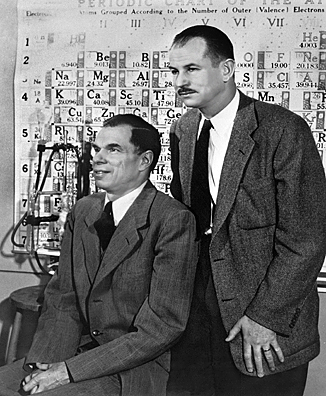 In 1941, McMillan, Glenn Seaborg, Joseph W. Kennedy, and Arthur Wahl isolated another new element, element 94, for the first time. Following McMillan's practice of naming element 93 after a planet, Seaborg named element 94 "plutonium." 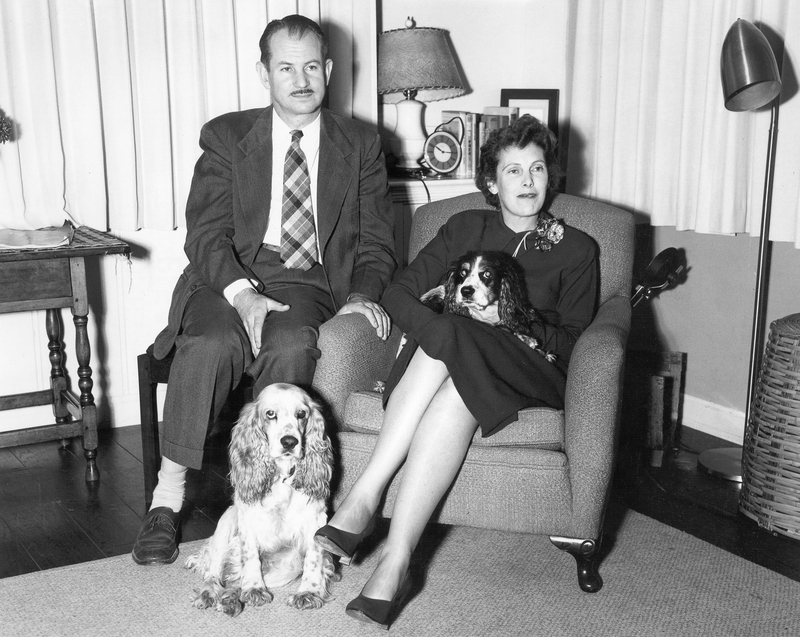 McMillan worked in the Radiation Laboratory at MIT on radar research before being moved to the U.S. Navy Radio and Sound Laboratory in San Diego. 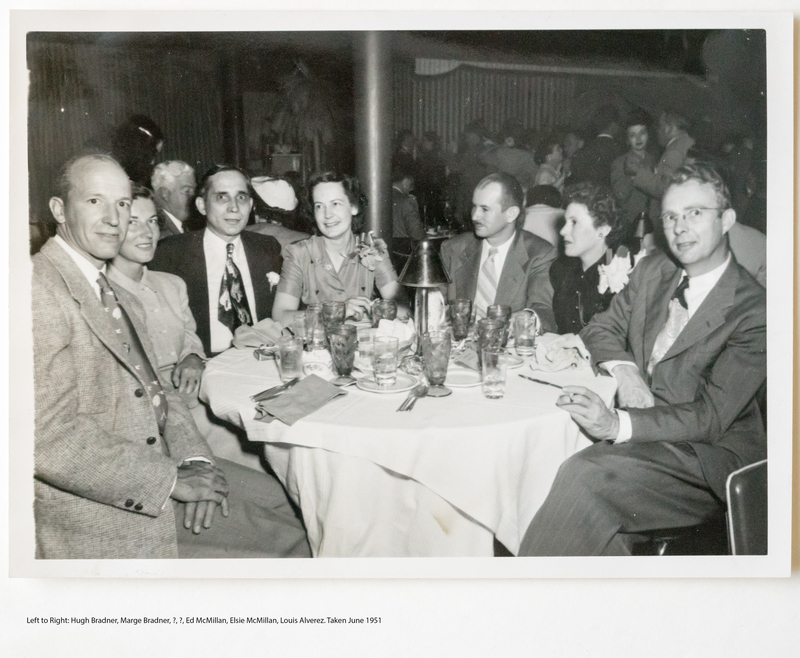 In 1942 McMillan was involved in the initial selection of Los Alamos, and moved there to conduct implosion research. 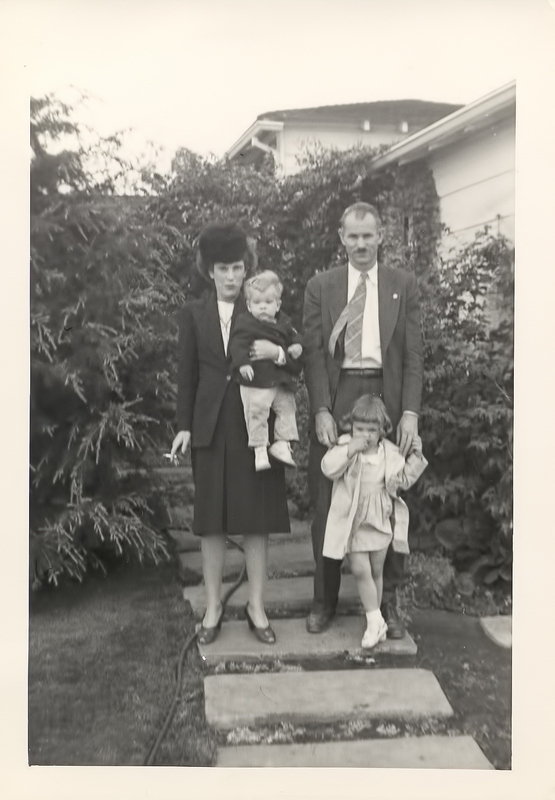 He was married to Elsie McMillan, who accompanied him to Los Alamos. 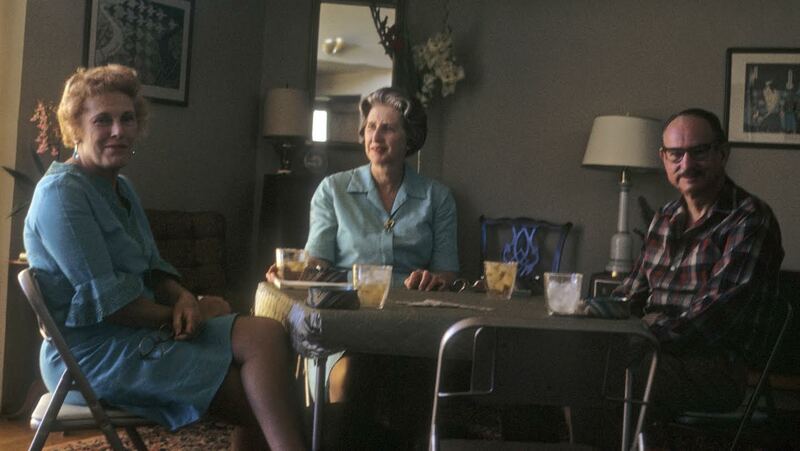 They lived in Master Cottage #1 on Bathtub Row from 1943 until August 1945. 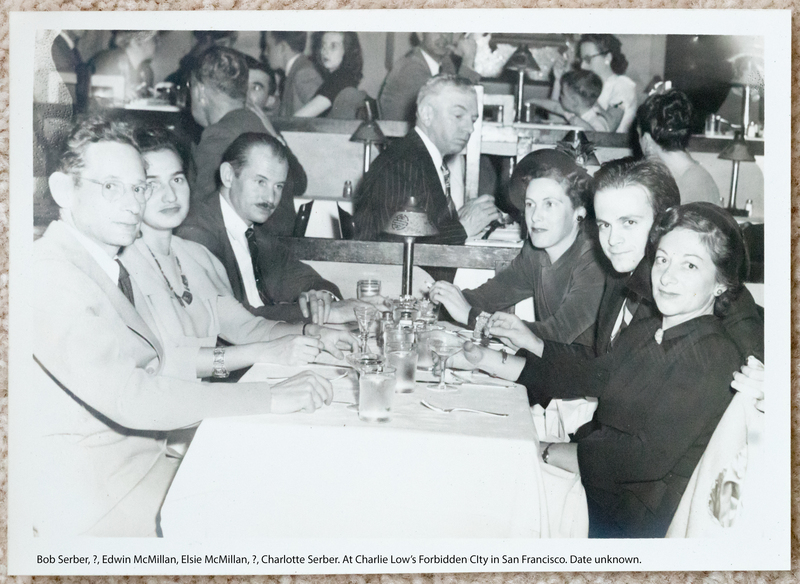 After the war McMillan returned to the University of California Radiation Laboratory (later known as the Lawrence Berkeley National Laboratory), eventually becoming its director. He also served on the General Advisory Committee to the Atomic Energy Commission. 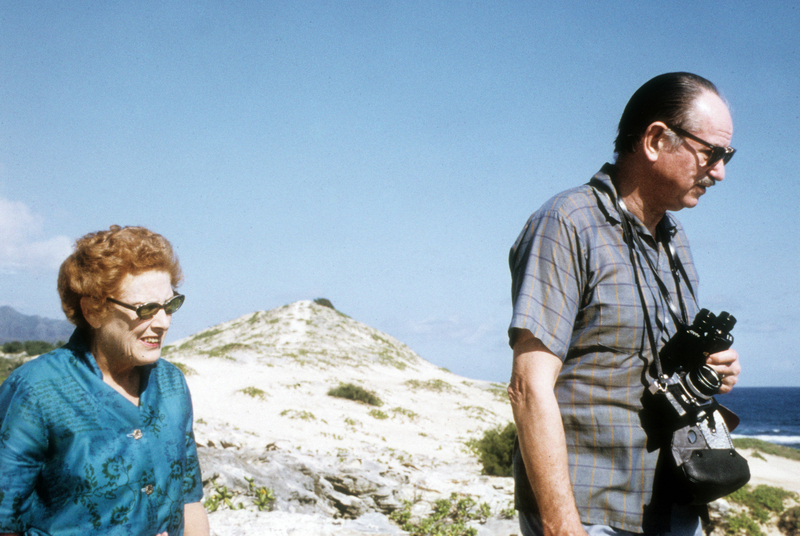 For more on McMillan's scientific contributions, please visit the Nobel Prize website. 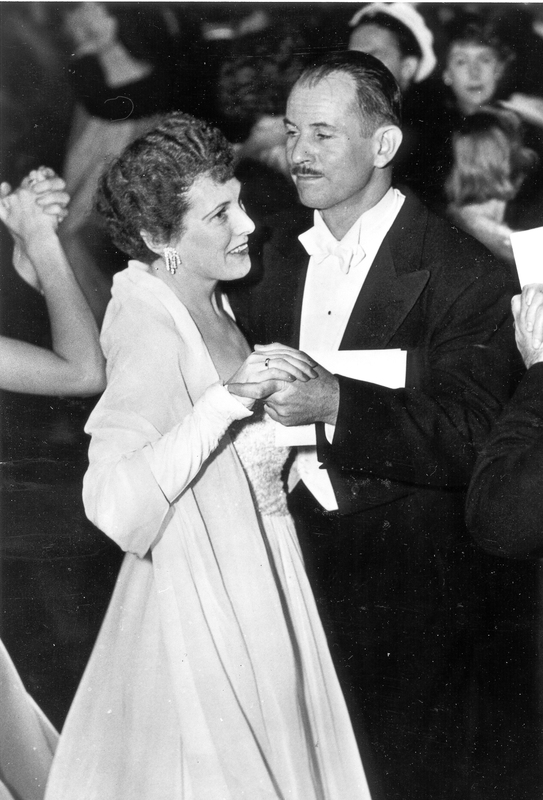 1907 Sep 18th Born in Redondo Beach, California. 1928 Received a B.S. from Caltech. 1932 Received a Ph.D. in chemistry from Princeton University. 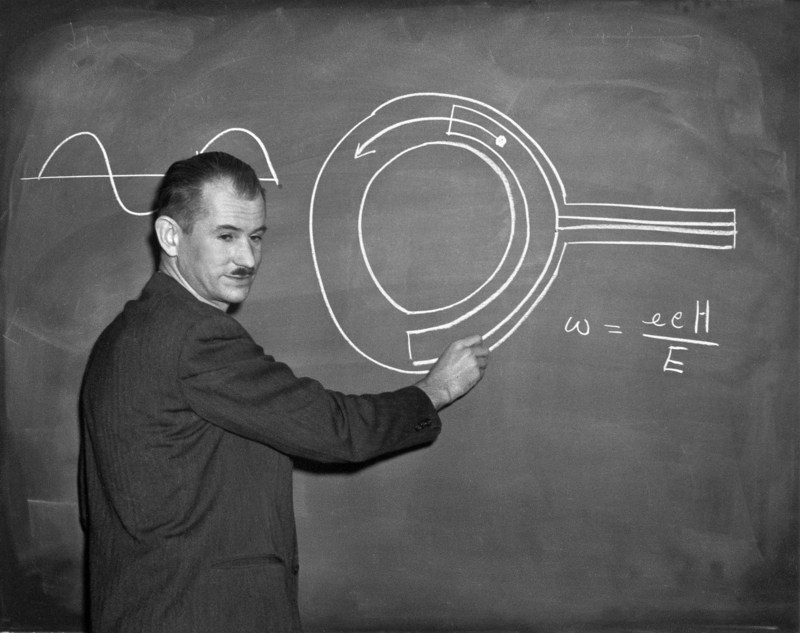 Edwin McMillan explains the science behind the 184 inch cyclotron. Photo courtesy of LBNL. 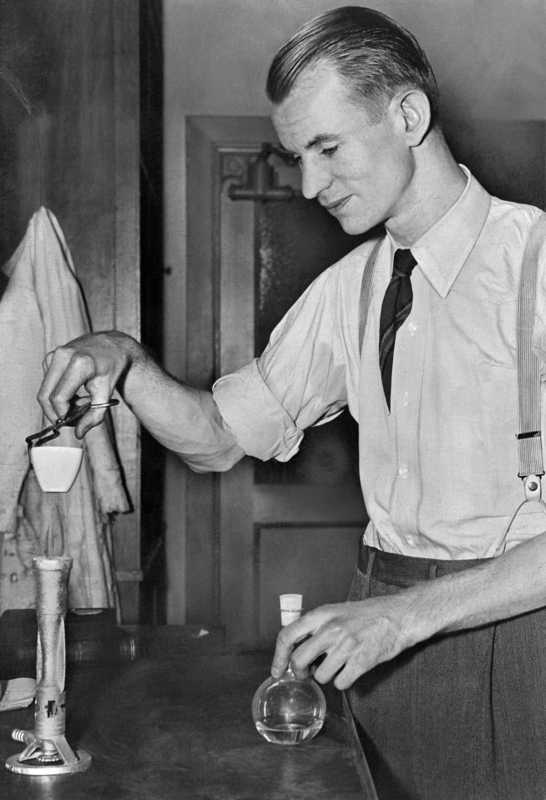 Edwin McMillan recreating the search for Neptunium in 1940. Photo courtesy of LBNL. 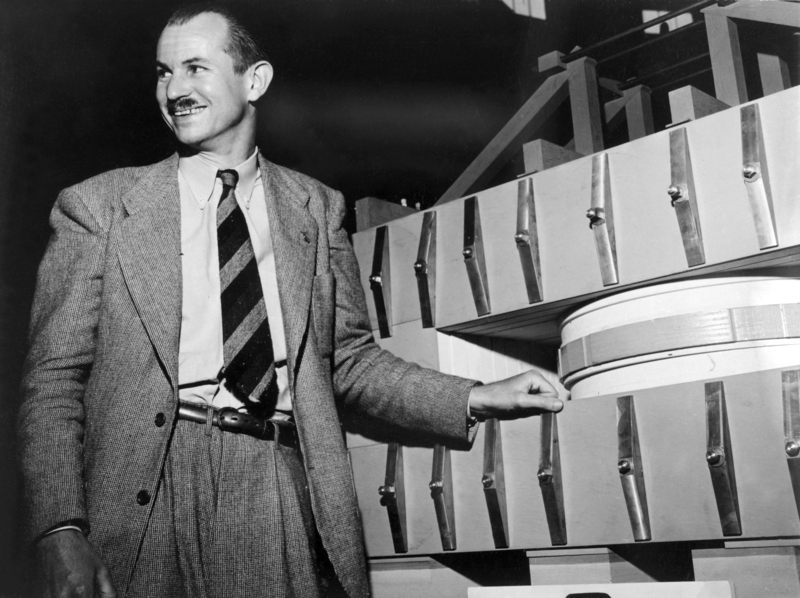 Edwin McMillan with a wooden model of a synchrotron, 1946. Photo courtesy of LBNL. 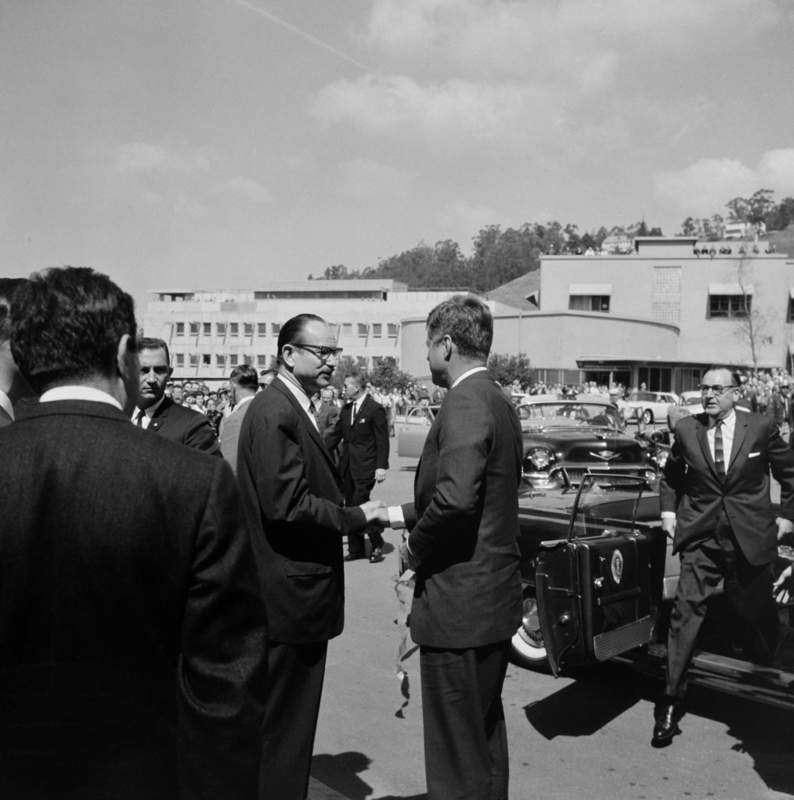 McMillan greets JFK at Berkeley Lab, March 1962. Governor Pat Brown is at R. Photo courtesy of LBNL.